Like many recession-focused documentaries made during the current economic downturn, the buzzworthy new documentary The Queen of Versailles follows a family as it struggles with a post-crisis financial transition. The difference with this new film is that instead of a middle-class factory worker dealing with a lost job or another everyman example, Versailles deals with an extremely wealthy family going from building the largest single-family residence in the world to losing most of their assets and having to stay in their smaller (but still pretty huge) mansion with reduced waitstaff. I’ve noticed that, when reviewing the film, many an online film critic takes the opportunity to show-off their documentary history knowledge and compare the film to the Maysles Brothers’ 1975 cult classic Grey Gardens. 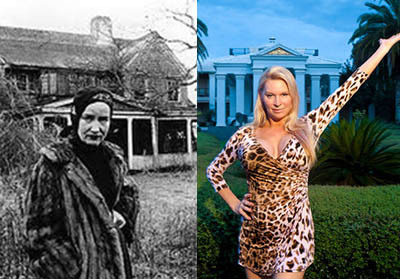 The films do have superficial similarities: the Edie Beales of Grey Gardens were once aristocrats (the aunt and cousin of Jackie Bouvier-Kennedy-Onassis) before letting their estate devolve into squalor and both Little Edie and Versailles’ Jackie Siegel like to “show off” for the camera. However, even with dog droppings on the carpet, the mansion in Versailles is far from the absolute Raccoon-infested squalor of Grey Gardens and the Beales are of debatable mental sanity while the buxom Jackie is only (evidently) eccentric. 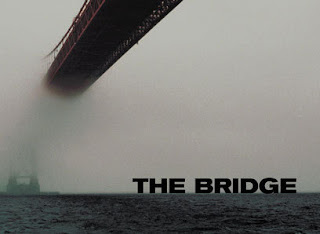 While similarities in the subject matter may be superficial, where these films do share a connection is in the question of whether their subjects were exploited by having their lives captured on film. The filmmakers of Versailles sort of lucked out that their film is as interesting as it is. The film began as a reality show-like look at this family’s excessive lifestyle (and it was under these conditions the filmmakers got permission to follow the family), but because they caught the family at this time of transition it is more a “brilliant metaphor for the runaway American dream” than “a Real Housewives-style freakshow.” The family did not appreciate their portrayal in the final film and are now suing the filmmakers for defamation, claiming that aspects were staged and that the film showed them as being poorer than they are in reality. 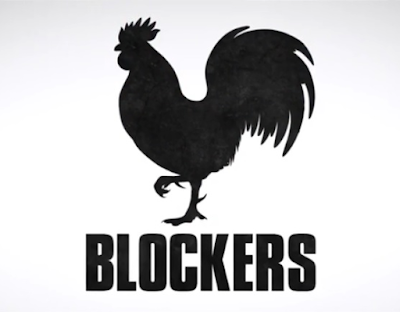 While director Lauren Greenfield denies any part of the film is staged, it is hard to deny that the film is edited for maximum irony and humor. A scene where Jackie asks a rent-a-car attendant the name of their driver may not have been staged, but cross-cutting husband David stressed out on the phone discussing money issues with Jackie getting a facial is definitely creating a contrast through editing. Back in the 70s, the Beales never sued the Maysles, nor did they personally take umbrage with their portrayal. It was the audience that seemed upset that these strange characters were taken advantage of. In 1976, Little Edie told Newsweek the Maysles “were factual. They get the pith of every situation. There is no difference in they way we lead our lives and what you see.” However many critics, including Walter Goodman of the New York Times, felt that the Beales were treated like sideshow attractions, “the sagging flesh, the ludicrous poses, the prized and private recollections strewn about among the tins of cat food--everything is grist for that merciless camera.” In interviews, the Maysles always expressed affection for the Beales and defended their choices with the film. In a 2009 interview, Albert Maysles (who was, at one time, a psychology professor at Boston University) stated that he never questioned the Beales’ mental health and argues that they were fully aware of their circumstances and how they were presenting themselves for the camera. Referencing Goodman’s review and his issue with the sagging flesh on display, Maysles said “Obviously he had a problem with age. Not their problem. His. And Edie wrote a wonderful letter to answer the piece but it wasn’t published." Now that I’ve established the arguments for how each film could be accused of exploitation, I will argue why I personally feel that they are not unfair to their subjects. First and foremost, in both films the lead characters are clearly enjoying every minute they are on camera. It is established in each film that these are women who loved the spotlight: Jackie Siegel was a model and beauty contestant who dresses for maximum emphasis of her *ahem* surgically enhanced features and both Beale women had backgrounds in entertainment (Big Edie as a singer, Little Edie as a dancer). Jackie Siegel clearly enjoys giving the tour of her unfinished house as much as Little Edie loves giving her fashion lesson on “the best thing to wear for the day.” If this was exploitation, it was done with participation by the subjects. Suggesting “welcomed exploitation” may come across dangerously close to “they were asking for it” and that may be the case if I felt any of the subjects came across as less than sympathetic. Even when it's edited so we laugh at the Siegel family, there are still plenty of moments of humanity sprinkled within to show their warmth and genuine concern for others. We are given the proper background to know why Jackie is so appreciative of the wealth she found herself having and, while there are moments of humor, there are few malicious edits that make her look stupid (one unfortunate “nip slip” left in the edit is a mark against the filmmakers). The Maysles are also careful to show moments of humor in between the fighting matches of the two Edies. The more uncomfortable scenes are allowed to play out organically (and for long periods of time) and we can believe that these are how the characters behave, regardless of their audience. 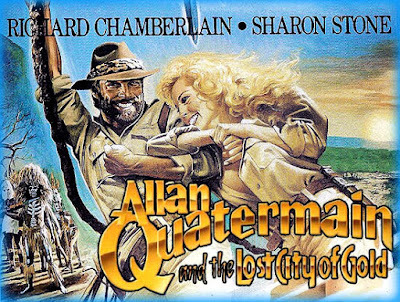 It is clear in both films that the filmmakers developed relationships with the subjects. 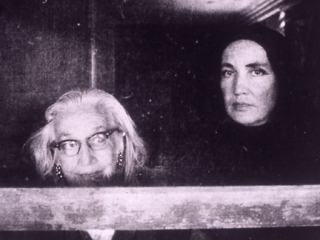 The Maysles are constantly heard and occasionally seen throughout the runtime of Grey Gardens. The Beales address them, comment on their outfits, and sometimes ask them to open a door for them. They are aware of the camera at all times and if you believe they were of sound mind (as the Maysles did and I do), it is fair to say that, if they weren’t comfortable with an aspect of their life being filmed, they would have said so. In Versailles, the filmmaker isn’t seen or heard, but we do get the characters on screen referencing the presence of the cameras. Near the end of the film, David Siegel, visibly irritated, asks if filming is almost over. Later, Jackie admits she isn’t too knowledgeable about the family finances and jokes that she’ll have to watch the movie to find out how much trouble they’re in. These cute, meta moments are evidence that the Siegels are aware that they are in a movie and must have some knowledge that this phase of their life is going to make it into the final product. As comparisons between these two films will undoubtedly continue as Queen of Versailles grows in popularity, the conversation about whether the Siegels got a “fair shake” will continue as well. I believe the Siegels were treated fairly by the filmmakers because they, like the Beales, were well aware of being filmed at all times, enjoyed the process of being filmed, and were portrayed (for the most part) sympathetically. The legal action the Siegels are pursuing suggests they disagree. To the best of my knowledge, Grey Gardens is the only documentary to inspire a Broadway musical. Here's Christine Ebersole's performance of "The Revolutionary Costume for Today" from the 2007 Tony Awards.